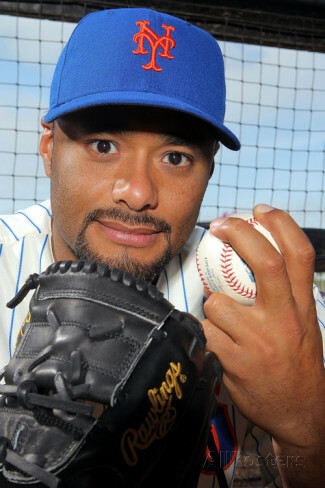 Johan Alexander Santana Araque (born March 13, 1979) is a former MLB starting pitcher. Santana pitched in Major League Baseball (MLB) for the Minnesota Twins from 2000 to 2007 and for the New York Mets from 2008 to 2012. Starting in 2012, he was beset by injuries which eventually forced him out of the game. A two-time Cy Young Award winner with the Twins, Santana is a four-time All-Star and earned a pitching triple crown in 2006. On June 1, 2012, Santana threw a no-hitter against the St. Louis Cardinals, which is to date the only no-hitter in New York Mets history. Santana was born in Tovar, Mérida State, Venezuela and attended Jordan High School, where he played baseball and soccer. Santana was signed by the Houston Astros as an undrafted free agent in 1995 but remained in Venezuela, where he was named the Tovar Mérida Athlete of the Year in 1999. Later that year, he was selected by the Florida Marlins from Houston in the 1999 Rule 5 draft and then traded to the Minnesota Twins for minor leaguer Jared Camp. Santana made his Major League debut with the Twins on April 3, 2000, coming from the bullpen vs. Tampa Bay. He made his first MLB start on April 7, 2000, at Kansas City and recorded his first Major League win in a relief appearance at Houston on June 6. Santana and his wife, Yasmile, have two daughters, Jasmily & Jasmine. Here are the stats for Santana's two Cy Young award winning years. For his career stats, click here. Featured here are Johan Santana posters, photos, giant collectibles and apparel.